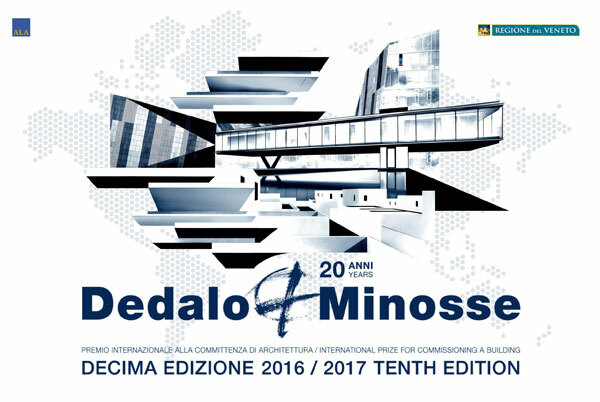 20 years after its founding, ALA - Assoarchitetti launches the Tenth Edition of Dedalo Minosse International Prize for commissioning a building 2016/2017. The Prize is unique among international awards programs for honouring the Client's role in the design process. 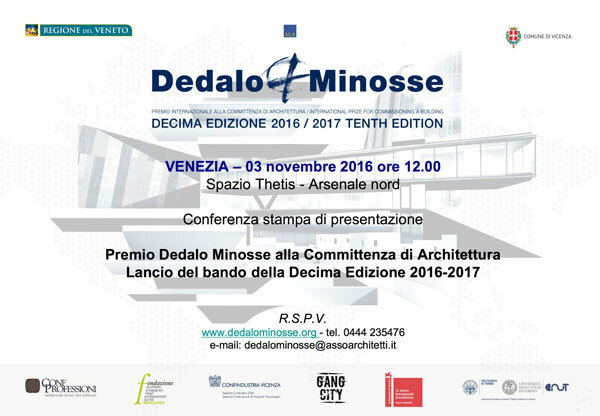 The Tenth Edition of Dedalo Minosse International Prize will be launched the 3rd November at Spazio Thetis in Venice. This event is organised by ALA - Assoarchitetti in collaboration with Biennale Architettura, GangCity and Dipartimento Interateneo di Scienze, Progetto e Politiche del Territorio - Politecnico di Torino, Torino University. 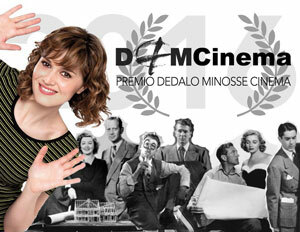 ALA - Assoarchitetti and the Order of Architects of the province of Vicenza organizes the Dedalo Minosse Cinema Prize to be held at the Palladio Museum, in Contrà Porti 11 in Vicenza (Italy), from the 8th to the 11th June 2016. "Stanislao Nievo and Architecture" is the topic of the talk given by Bruno Gabbiani, president of ALA - Assoarchitetti, on the 7th of April 2016 in occasion of the 7th Study Day "Stanislao Nievo intersection of Arts. 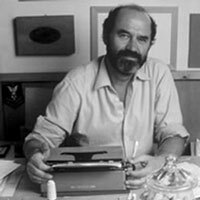 Literature, Cinema, Photography" organized by the Ippolito Nievo and Stanislao Nievo Foundation and the University of Rome Tor Vergata. The Dedalo Minosse Prize exhibition is going to be presented during the World Congress IFLA - International Federation of Landscape Architect and the Metropolitan Landscape. TViweb interviews Steve Della Casa, Giorgio Scianca and Marcella Gabbiani at the presentation of the book "La recita dell'architetto" last December in Vicenza. Available only in Italian.